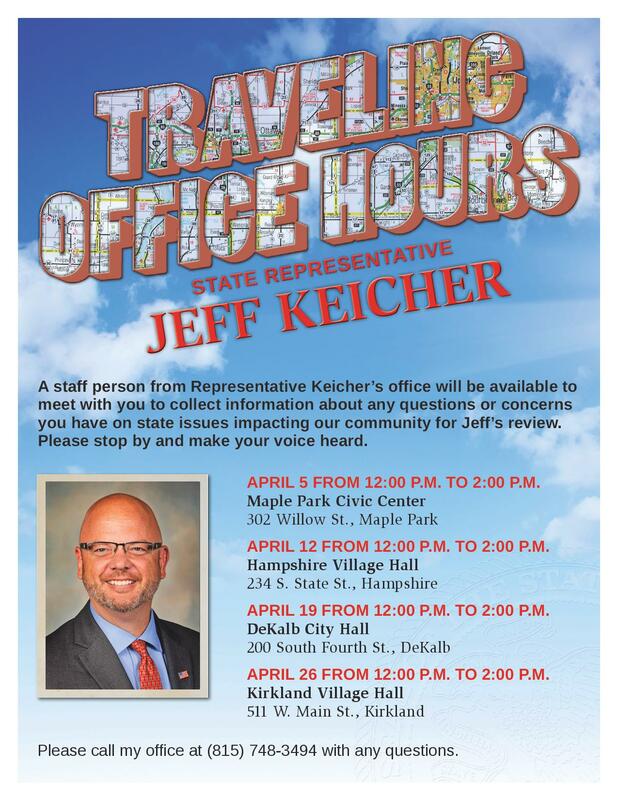 Constituents who stop by the Traveling Office Hours will be able to meet with a member of Representative Keicher’s staff, who will collect information to bring back to the Representative for a personal review and follow-up. Constituents who wish to e-mail the Representative can do so at keicher@ilhousegop.org or by visiting www.repkeicher.com and clicking “Contact” on the homepage menu toolbar. Representative Keicher serves the 70th District, which includes most of DeKalb County along with portions of western Kane County and eastern Boone County.